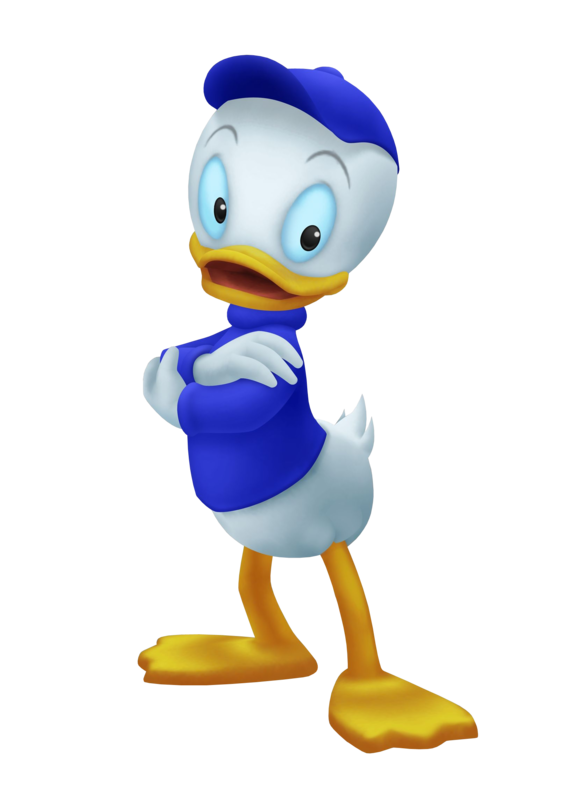 Dewey is the playful and easygoing one of Donald's three nephews. He is the little duck in blue. The three of them take turns running an Item Shop in Traverse Town. They are seen returning to Disney Castle at the end of the game. 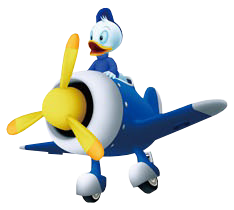 As looks may imply, Dewey is Donald's nephew. A rather upbeat and cheerful fellow, he often uses his smarts to come up with plans so that he, Huey and Louie can have fun. Dewey's distinguishing color is blue. When the worlds were restored, Dewey moved with his brothers to the town of Hollow Bastion to aid the restoration process. He's in charge of the item shop.